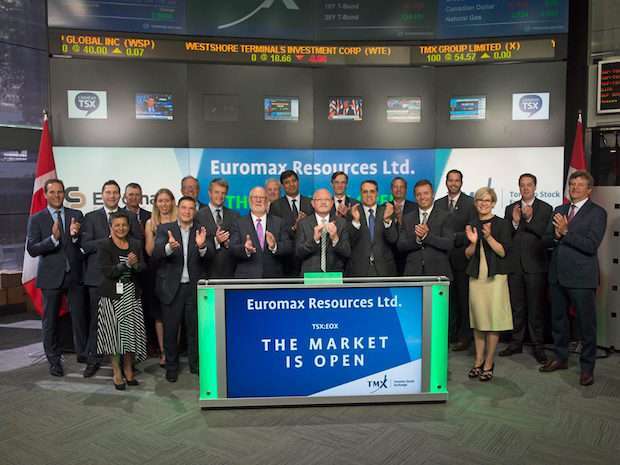 Euromax Resource open trading on the Toronto Stock Exchange. Euromax Resources Limited (TSX.V: EOX) (OTCPK: EOXFF) (WKN: A1J6XZ) has now migrated to the TSX. I was CEO from 2002 until 2010. During this period I oversaw the transformation of the company from a loss making entity to positive cashflow from oil and gas which funded the acquisition of the SE European property portfolio. This portfolio included the Ilovitza Cu-Au deposited, now a US$450 million development project, Breznik being developed as a high grade underground polymetallic mine, KMC producing long Au-Cu results for Eldorado Gold and the Brestovatz project in Serbia with resources of 1 million tonnes copper and 1.9 million ounces of gold sitting above a much larger porphyry Cu-Au deposit. Recently Euromax signed a 10-year offtake agreement with operator of the Pirdop copper smelter in Bulgaria, Cumerio. This has allowed Euromax to progress a trade based financing instrument with the government of Germany in the amount of US$240 million. Finally Euromax has listed on the main board of the TSX in Canada. This is an important step for Euromax in developing the US$450 million Ilovitza copper-gold project in Macedonia as it gives the company greater access to capital. The listing however on the electronic exchange was more for the cameras than the massed brokers. Ah for the days of open outcry when a new listing was very different. Carbine Gold and the days of floor trading! As director of Carbine Gold NL in 1987 I was on the floor of the Australian Stock Exchange for the commencement of Trading of of the company. That was an exciting day with an IPO price of A$0.20 and opening trades of A$0.99 – nice indeed. There was palpable excitement on the floor of the exchange with cessation of trading across the nation and all the broker representatives crowded around the board, the exchange clerk ready to record the first bid and ask. Nearly 500% upon the first trade! In the back-office things were a little different with 600% over subscriptions generating some administrative issues and many refund cheques. In today’s market when public capital raising for resource sector corporations are almost rare events, this was a nice problem to have. Those were the days of open-call trading on the exchange floor. Phonm Penh Special Economic Zone lists on the Cambodian Stock Exchange. 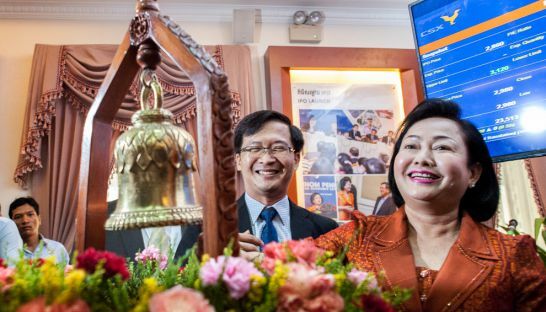 Last month I was at the Cambodian Stock Exchange for the commencement of trading of Phonm Penh Special Economic Zone. The contrast between the two events could not be more obvious.